Hiking the Waitukubuli National Trail in Dominica - Caribbean & Co. Climbing up the side of a dormant volcano for stunning views. Traipsing through an aptly named ‘Valley of Desolation’ filled with bubbling mud, hot springs and sulpher. Pass through Morne Trios Pitons National Park. These are just some of the things hikers can expect when they venture onto the Waitukubuli National Trail in Dominica. The first long trail in the Caribbean, Waitukubuli is over 115 miles of rainforest, cloud forest, streams and mountains. Hikers will enjoy the culture and diverse beauty of each segment of the trail. 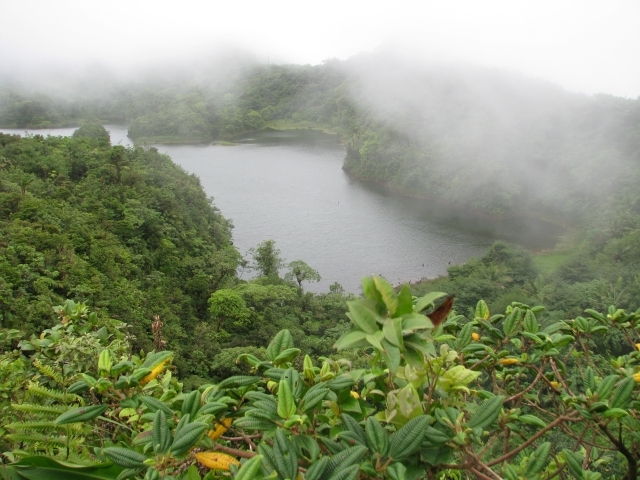 The trail starts in Scotts Head, a crater, and passes by Soufriere Sulpher Springs and The Old French Quarter as well as other points of interest. It ends in Cabrits. There are so many points of interest and varied difficulties to the trail that it is sectioned into 14 segments. If the whole trail is hiked it would take approximately 2 weeks from start to finish. The different degrees of difficulty mean that nearly anyone from novice to advanced hiker can enjoy some part of the trail. Beginning hikers or visitors to the island can start at the Colihaut Heights Segment 10. This 3.7 mile hike will take visitors past farms, parrot habitats and the welcome center. Segment 14 from Capuchin to Cabrit covers coastal forest. Here moderate hiking skills take visitors over the black sands of Stony beach and Belle Hall beach. For the advanced hiker in great physical condition, try the hike on segment 9. This part of the trail leads through primary forest and Morne Arney. View Kachibona Lake and maybe even catch a glimpse of wild pigs. This 6 mile trek takes approximately 8 hours to complete. People visiting the island can choose a segment related to history or culture. Segment 2 is an old slave route. 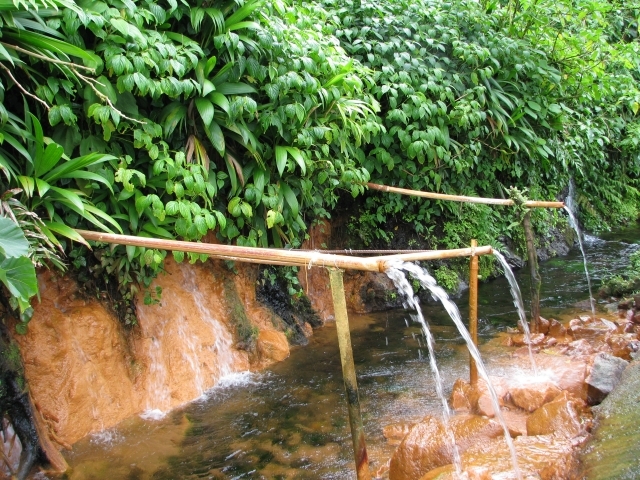 Take a therapeutic bath in a hot spring on segment 3. See the World Heritage Site, Morne Trios Pitons National Park in segment 5. Experience the life of the indigenous people at Carib Model Village in Kalinago Barana Aute. Those who enjoy wildlife can hike segment 8 to see wild pigs, parrots and other birds. Do some serious bird watching in Morne Diablotin National Park on segment 11. The 12th section of the trail is where visitors can see both the Atlantic Ocean and the Caribbean Sea simultaneously. Craggy, sharp volcanic boulders strewn along the beach and tiny dots of sails in bay are great photo opportunities on the 13th segment. Even if you are visiting Dominica for other reasons, take the time to enjoy the beauty and rugged wilderness of this ‘nature island’. See examples of hillside farming. Wonder at houses seemingly suspended on sharply angled mountains. Cross over pristine streams and occasionally spot a Cayman or crocodile. Listen to the songs of Parrots and other birds. Walk through the clouds in one of the cloud forest. Old plantations, ruins and great food make Dominica a definite place to put on your ‘bucket list’. Hike Waitukubuli National Trail today.